The interesting thing about arriving in Berlin in the middle of summer is the big adjustment it’s forced in terms of activities and communicating; everyone’s been away (or is away still) on holidays. The quiet of summer has meant I’ve had lots of time to think, plan, and go through what a friend once termed an “input” phase; if anything has reminded me, in whispers and shouts, there may be a book (or memoir) in me yet… this has been it. My “output” phase is, however, rapidly approaching, what with the imminent start of concert and opera season. It’s still festival time in Canada still, of course, and a new one which caught my attention lately joins my favorite things: wine, food, song, with a bit of European flair. 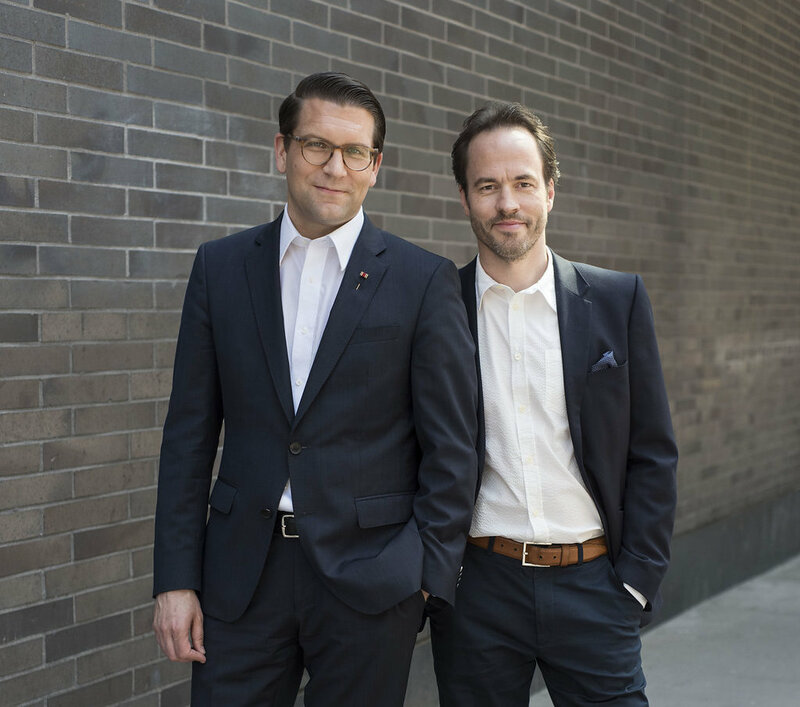 Johannes Debus, Music Director of the Canadian Opera Company, is, like the company’s General Director Alexander Neef, a German native. He graduated from the Hamburg Conservatoire and went on to become Kapellmeister at Frankfurt Opera, where he led both old and modern works, a talent he continues to cultivate. 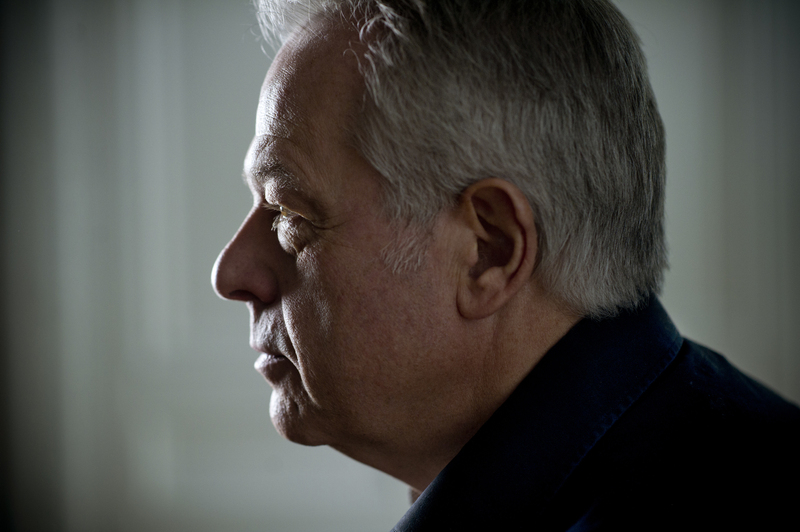 Since then, Debus has led the Boston Symphony Orchestra at Tanglewood and been guest conductor with the Biennale di Venezia, Bregenz, Schwetzingen, and Spoleto Festivals, to name just a few. 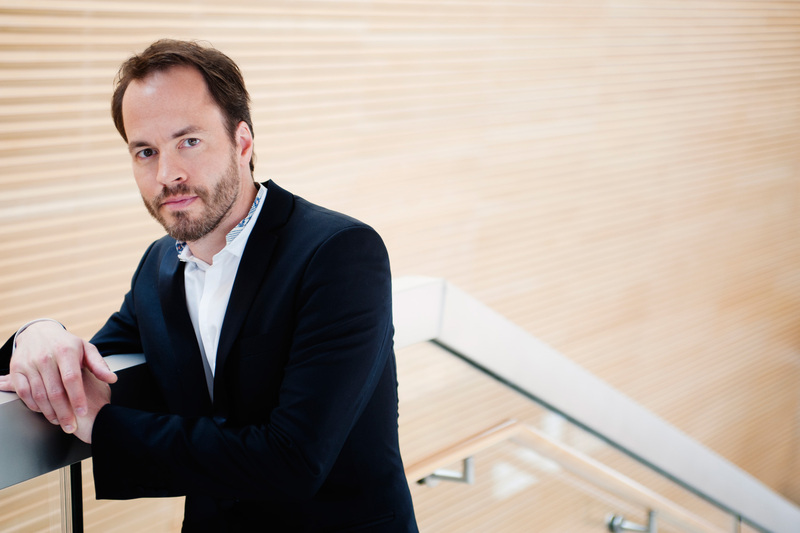 Last December he made his debut at the Metropolitan Opera conducting Salome, and earlier this year led the Austrian premiere of Goldschmidt’s Beatrice Cenci at the Bregenz Festival. He has collaborated with a number of acclaimed ensembles (some of whom I’ll be seeing shortly at this year’s Berlin MusikFest), including Ensemble Intercontemporain, Musikfabrik, Ensemble Modern, and Klangforum Wien. Lately he’s put on something of an organizer cap, as one of the driving forces behind Water Week (running August 25th to 31s) in Prince Edward County, a picturesque part of southern Ontario a few hours east of Toronto, along the shores of Lake Ontario. Inspired by Stockholm’s World Water Week Symposium, Water Week unites environmental and cultural aspects in a beautiful (and wine-rich) part of Canada. The array of concerts and events on offer have been programmed by Debus and his wife, violinist Elissa Lee. Highlights include a performance by the Canadian Opera Company Ensemble, Lee’s Ensemble Made In Canada, a performance by soprano (and COC Ensemble graduate) Danika Lorèn, and a special event which will feature the talents of Canadian theatre artist Graham Abbey, bass Alain Coulombe (whose performance as the Commandatore in the 2016 Salzburg Festival production of Don Giovanni I found so affecting), and Debus himself. There will also be regular screenings from productions at this year’s Bregenz Festival. 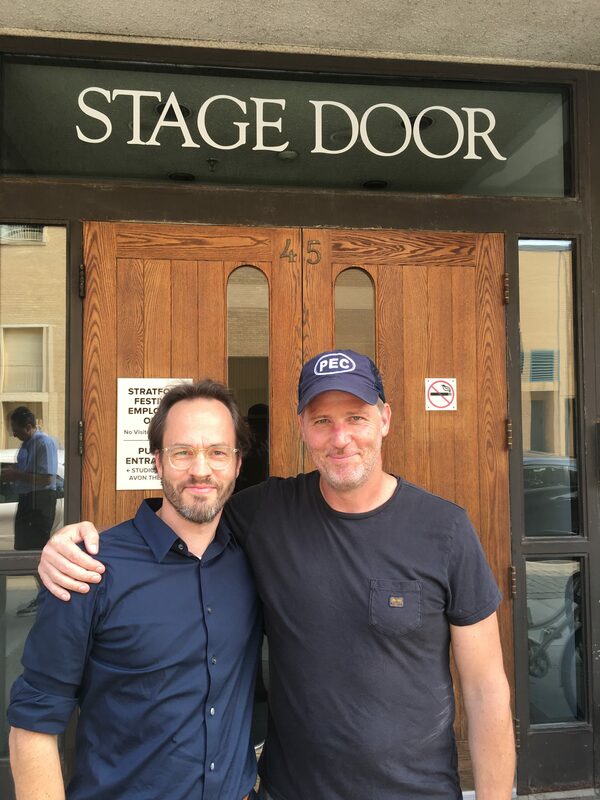 Because of the nature of this festival — it’s new, it’s varied, it’s in an area many Torontonians are relocating to — I wanted to get Debus’ thoughts around the whys and wherefores of his programming choices, and also get his thoughts on the role of social issues within the arts. 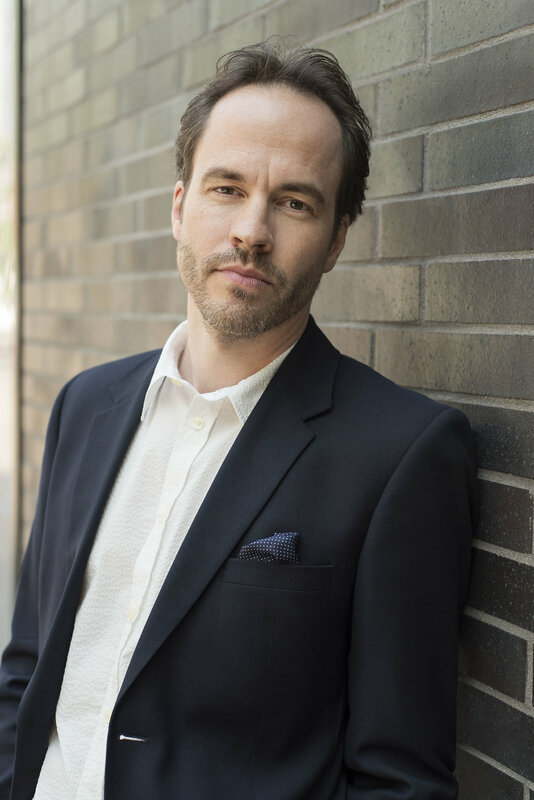 The maestro faces a busy upcoming season, with a double-whammy of conducting duties with the Canadian Opera Company, for the (world premiere) of Rufus Wainwright’s Hadrian, and the behemoth that is Tchaikovsky’s Eugene Onegin. How did you decide on the programming? The choices sort of naturally came to us, we tried to bring in as much variety as possible so we can try to gain an understanding of what people are interested in. We also wanted to be sure to included musicians from Quebec and Ottawa, to try and bring these musical communities closer together. What role do you see classical music playing in relation to social issues? 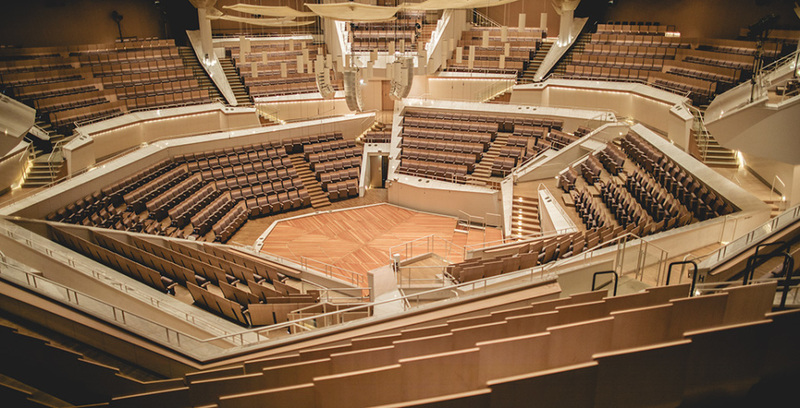 I wrote about this in relation to the Rundfunk Sinfonieorchester Berlin’s upcoming season (which has an environmental theme) and am curious about your thoughts. I think music has the power to unite people and can break all boundaries that sometimes exists in society. Environmental issues should be on everyone’s minds, and any means we have to bring more awareness, and eventually change in habits, overconsumption and unnecessary waste production, the better. Everyone points the fingers to others for change, and I believe it starts with the individual. Why do you think a place like Prince Edward County is uniquely suited to this kind of festival? I think the natural situation of Wellington was the biggest draw for us, Lake Ontario is right on the edge of town, and the raw beauty of it is mesmerizing. Also, the fact that Wellington is situated so close to Toronto, Ottawa, and Montreal is unique. We would like to contribute directly to the well-being of the community, and bring high-standard arts to locals living in Prince Edward County, but we do also hope to attract people from the three big cities. What do you see as the challenges of having a festival (especially one with classical elements) in a rural location? As an artist myself, the desire to share art with people and audiences is very strong and natural. 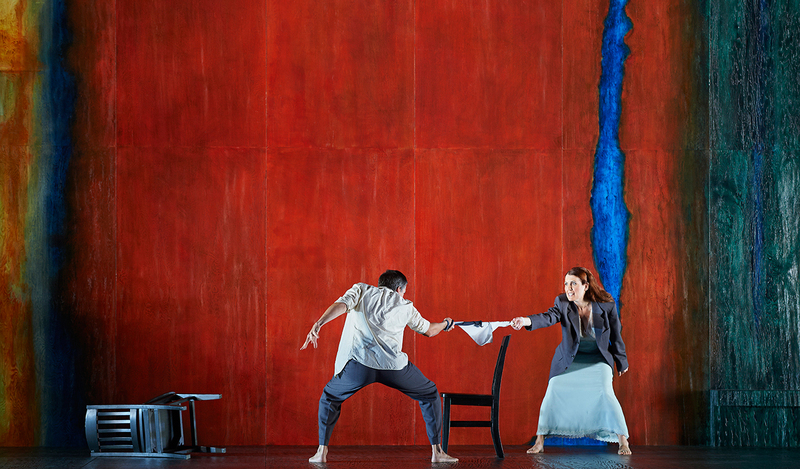 People talk about (opera) being a dying art form; I am not sure it is. But if it is, then all the more reason why we try to sustain it and keep producing it. Going to concerts stops time, and the event gives people a refuge from the hustle and bustle of everyday life. You work and live between North America and Europe; how much of what you do and see in one places influences what you do and see in the other? Having one foot in each continent is very satisfying, because you have the best of both worlds! I would say I am a hybrid between these two worlds and cultures, and therefore I try to bring the positive aspects from both continents to the other side. 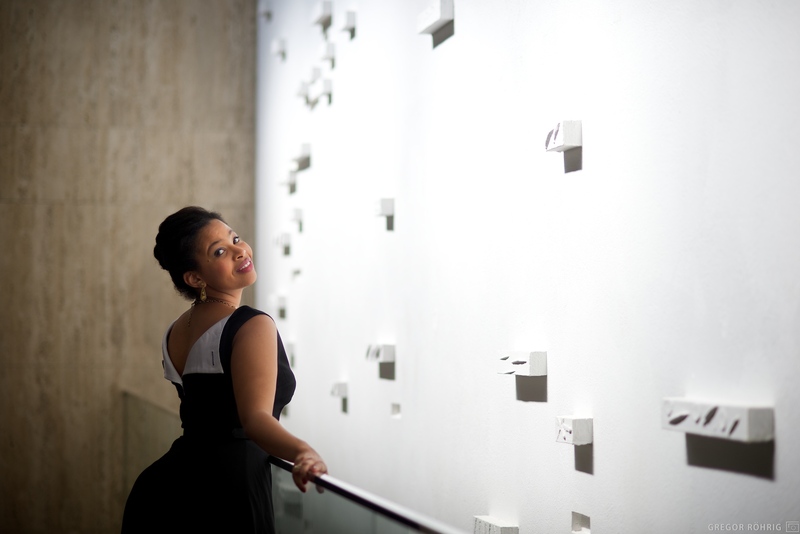 You are about to embark on a very ambitious and busy COC season; how do you see your work with the festival influencing your work at the COC, and vice-versa? Everything an artist does affects their output in their work and can affect their inspiration. Anything that becomes simply a task, or a job to be accomplished, should be left alone. This project is a passion project, so for the moment, it is very inspiring, and it will fuel all other projects I have going on. 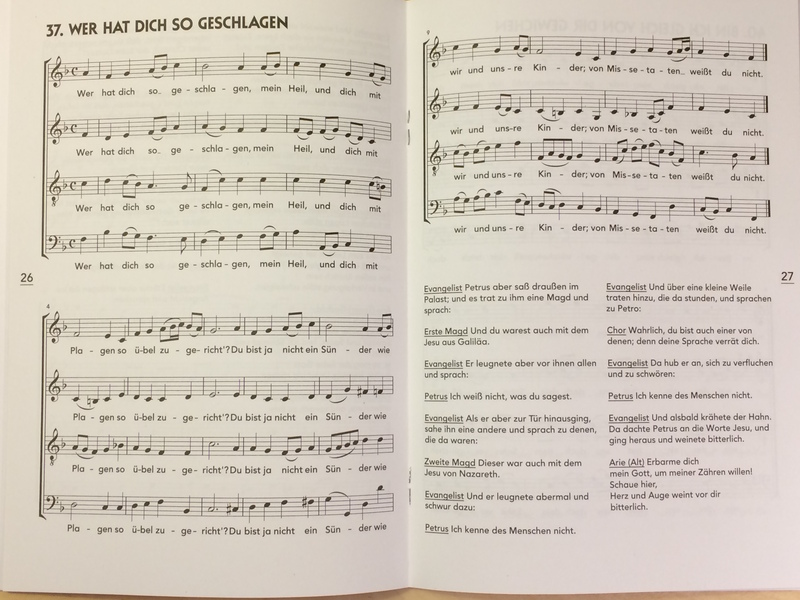 Lieder, or art song, is one of those cultural things that took me a while to appreciate. Only fleetingly exposed to the art form as a child by my opera-loving mother (whose tastes leaned very heavily Italian), I felt, for a long time, that lieder was simply too dense, too serious, and frankly, too… smart for me. 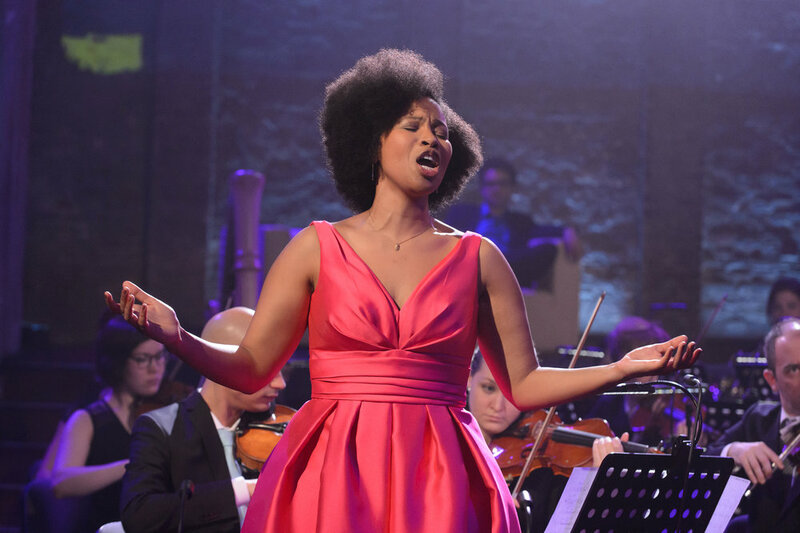 I may have made it something of a mission the last few years to fight against long-held (and frequently incorrect) perceptions around the approachability of classical music, but I freely admit to having held some of them myself. For me, lieder was daunting. Then I went to Berlin (a lot), and heard it live (a lot, and very beautifully), and my love affair with lieder began in earnest: not dense but rich, not serious but thoughtful, and yes, unrelentingly brainy and intellectual, but equally soulful and very romantic. Lieder is, like many of the things I’ve come to cherish, a beautiful marriage of head and heart, intelligence and intuition, the divine and the earthy. Much as humans love to place things in tidy mental boxes, there are some things — sometimes the most meaningful things — which, by their nature, live in and between and around several boxes at any given moment; I’m beginning to think this is the way life, love, and culture (and some odd combination of them) should, in fact, be most of the time. The trick is making peace with it all. Good lieder performances make that job easy. For those new to the art form and curious, I’d recommend listening to recordings by the late, great lyric baritone Dietrich Fischer-Dieskau, as well as by another German singer, one very much alive and busy, tenor Christoph Pregardien. 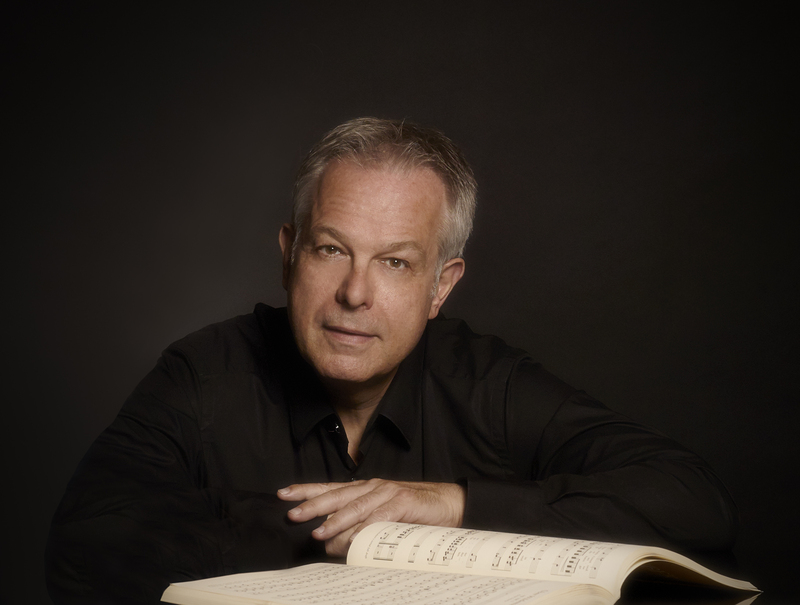 He’ll be performing a concert of Mahler and Schubert works in Toronto tonight, with renowned pianist Julius Drake, as part of the annual Toronto Summer Music Festival. 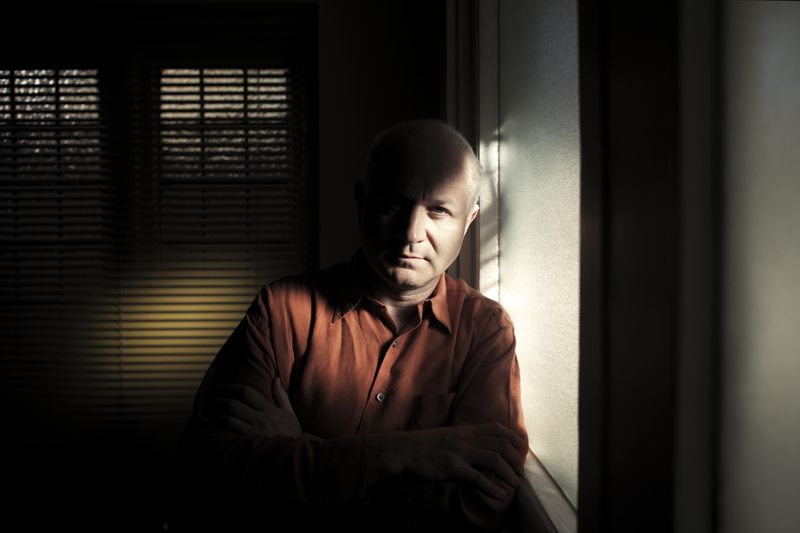 With a career spanning over four decades and several hundred recordings and live performances, Pregardien is one of those rare artists who brings a very innate yet approachable creativity to whatever medium he’s a part of. His performance as the title character in a 2005 production of Mozart’s La Clemenza di Tito at Opéra National de Paris had an immediacy which brought the rich inner life of the beset Emperor to life, imbuing Mozart’s rich score with both gravitas and grace. Likewise, Pregardien’s recording of Schubert’s famous “Erlkönig” ferociously captures the total terror so inherent to the piece, as well as an enticing, manic lyricism within (and between) each note and breath. Pregardien understands drama in both broad and personal senses, and he is singularly gripping in his combination of the two. 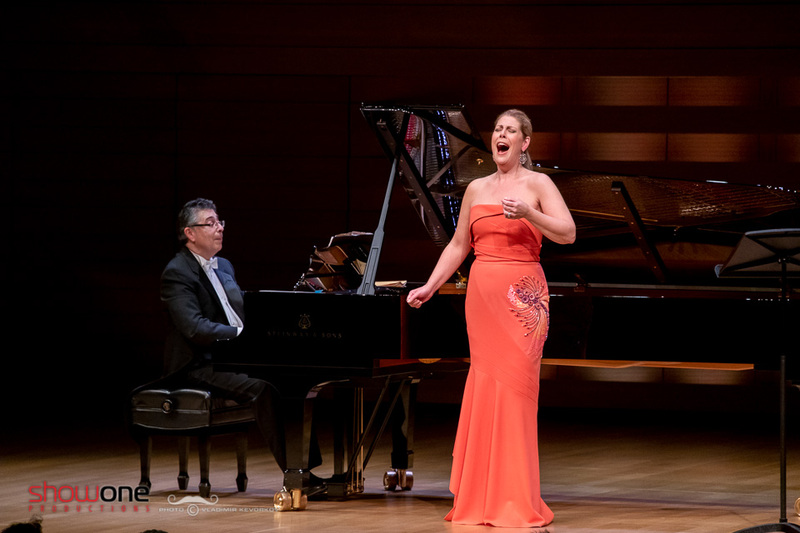 We recently shared a wide-ranging conversation exploring the whys and wherefores of recital as art form, the challenges (or not) of bringing it to younger audiences, and why performing “naked” is so important for singers. You’re doing an interesting recital with works by Mahler and Schubert. Do you see connections between the two? Both of them are, for me, the most important lieder composers, and they have similarities — that’s why I put this program together If I listen to Mahler’s songs, and to Schubert’s songs, I have the immediate feeling that they grab the text and transform it into music which, for me, has a very intense and direct emotional height. And while with other music I’m using my brain to understand it, it’s not necessary for me to understand Mahler and Schubert songs the same way. 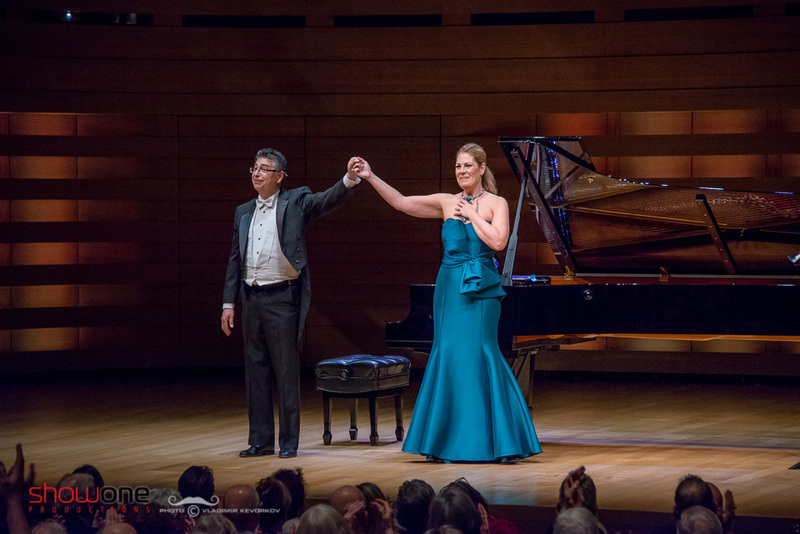 Recitals are such a big part of your career, and I’m curious what contrasts you note between European and North American audiences in doing them. Many people who left Germany in 1930s and 1940s supported a lot of the German repertoire, especially lieder, and now of course because it’s been a long time since the Second World War was over, they’re dying. We have a great tradition of art song in Europe, especially the German-speaking part, and the same exists in England and in France and the Netherlands, so I have a good feeling about the future of recitals. 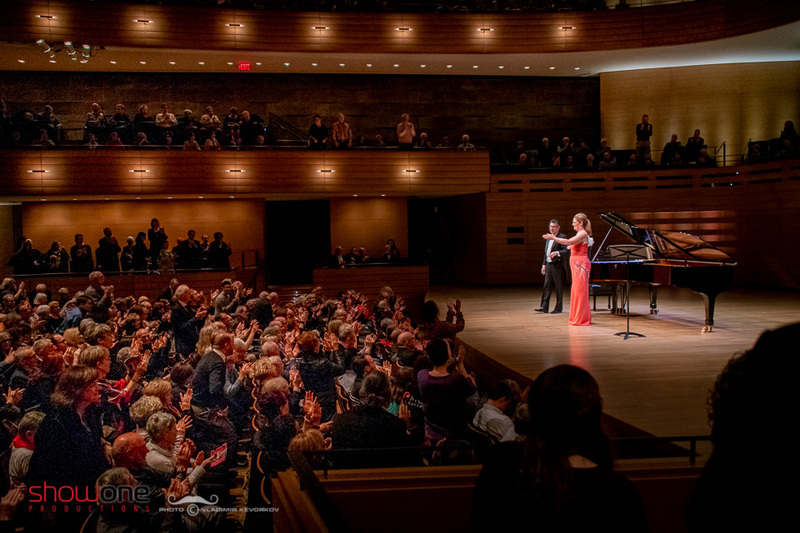 I think that the reason why the English-speaking part of North America has difficulty with recitals… yes, in our time people are not used to concentrating for long periods of time, but on the other hand, I see many younger people attending recitals, and they are normally very enthusiastic about it afterwards. The problem is giving them the possibilities for the first step. There is also a huge number of young singers coming up who present song in a different context. For example, by talking to the audience, by discussing themes with them, by preparing them for the music. 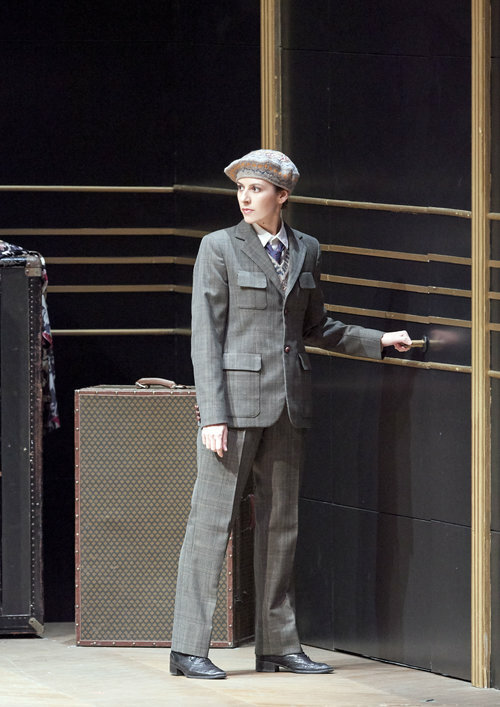 Also, I think many people fear the atmosphere of the recital hall, with two men or a woman and a man in tails. Also I think programming has changed. And, so as far as I can see since I am onstage — which is now about 40 years! 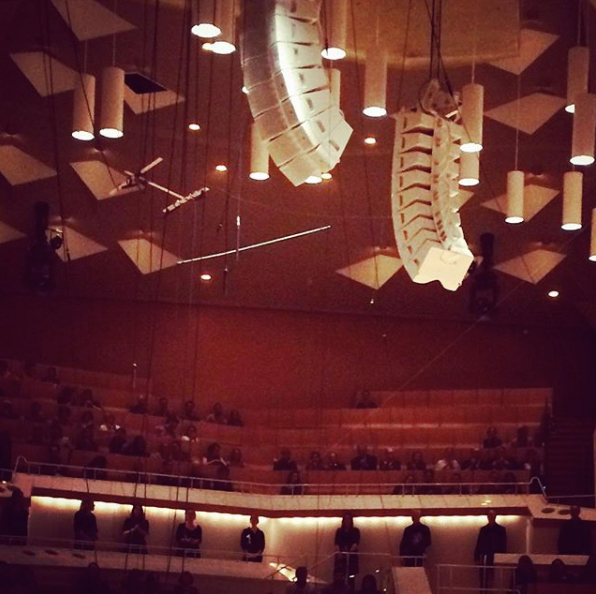 — everybody has complained about “white heads” in the audience, but it has been like this all the time. It’s question of generations, because younger people, when they are between the ages of 20 and 40, they are living their lives, bringing up families. Later, when they are a little bit older and with grey hair, they get more time to walk to concerts and to visit recitals. I can see that myself; I have three adult children, one of my sons (Julian) is a singer too. My elder son is now 36 and he was not very interested in classical music, but during the last five or six years he started to go more into classical concerts — not only recitals, but also opera and orchestral concerts. I think of course you have to teach young people that next to pop music and rock music there is classical music, and you need more attention and more wisdom to receive classical music, because it’s more complex. But the attainment of that wisdom need not be intimidating. Why should wisdom be intimidating? Young people are learning so much at school, many things which, from my point of view, are not that important — they’re not taught enough about how to handle money for example, or taught how to cook, and they’re not taught about music and cultural life. Artist Olafur Eliasson said in a recent interview that culture was just being used for promotion now, which I found interesting to consider within context of recital work, because it’s not an art form you can necessarily reduce that way — it turns against such reduction by its very nature. Recitals are a form you have to spend time with, and which force you to spend time with yourself. Yes, it involves everything which goes deeper into the real things of life, which are not always nice; life is not only joy, life is also struggle, and death. I think what draws people is that they can experience all these normal, natural emotions — longing, desire, love, hate, all these very important emotions — in a recital. In our time it’s so difficult to experience that in normal life. Is that why recitals matter? It’s one of the reasons, yes. We have a cultural heritage we have to give to our children as well, and I think as we have museums for paintings and for sculptures and architecture, we have, as human beings, a longing for tradition and for giving good things to their children, and I think classical music, which started in medieval times and goes to the 21st century, it’s a huge and important heritage. What is also important is that it is a social event to make music yourself, not only listening to music but making music yourself; the voice is the most natural and first instrument of all. 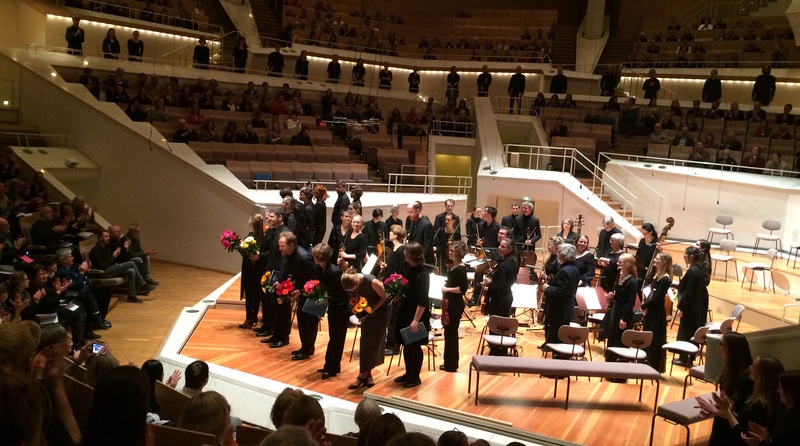 I noted that in attending an interactive performance of Bach’s St. Matthew Passion live in Berlin this past winter. It was extremely moving, this act of singing communally, yet it was totally normal, not an Instagram moment at all, but simply something people were doing together as part of everyday life. It’s dying out in Germany too, the choral tradition, because young people don’t have time anymore, they have many hobby horses, a big schedule. I have two smaller children, 8 and 10, and they started to play an instrument, and of course as parents you have to be behind them and say, “You have to take your twenty minutes or half-an-hour to practise your instrument” and they do it — but you have to convince and remind them. 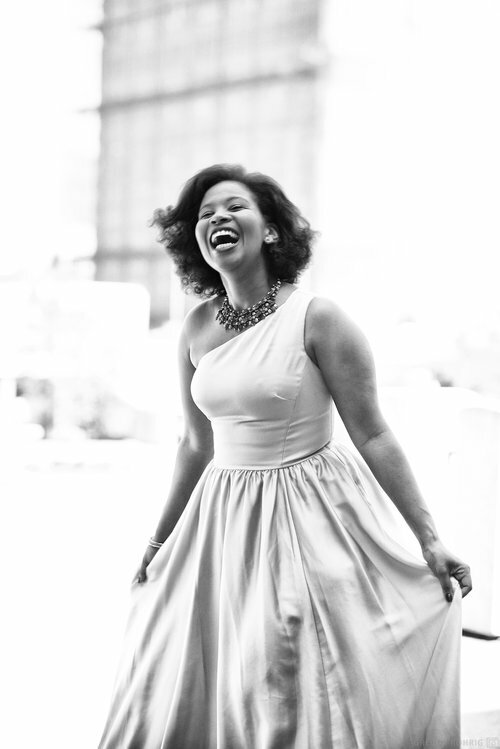 Sometimes there are singers who need to be convinced to do recitals as well. Why do you think that is? You don’t have a costume or theatre or an orchestra, you’re nearly naked onstage! For me it was a very natural thing to do, and I have a huge experience with it now, but I can understand singers who are used to having an orchestra in their back or in their front. 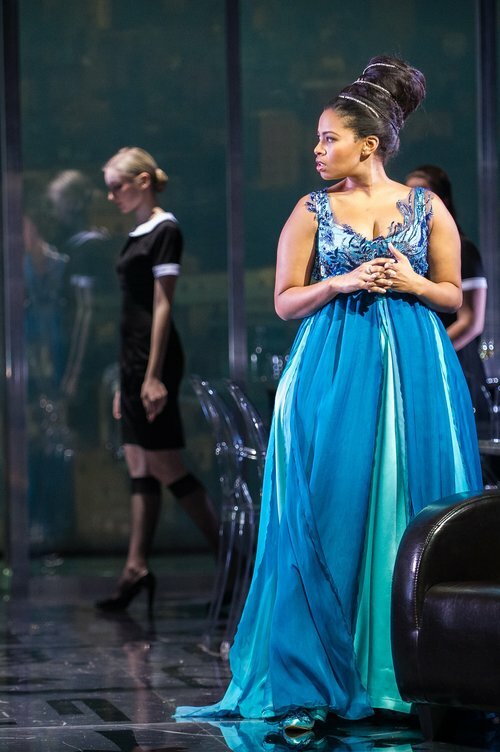 If you’re doing an opera, from time to time you can go offstage, eat something, drink something, rest a little bit; during a recital you are onstage for one hour or hour and a half and you have to show everything you are able to do. You are exposed. But I love the feeling to be very close to my audience. I love the feeling that I can draw them into certain moods, that there’s a certain sensitivity to the personality on stage. A singer has to be real for that moment. Yes. That’s the most important thing for a singer, be it an opera or oratorio or concert singer: you have to be authentic. The moment when you deliver your voice to an audience, it must make sense, and it must have meaning. We are the only musicians with text, and you have to communicate and give your soul, or parts of your soul, to your audience, in order to grab them. We have the ability, with this beautiful instrument, to draw their attention in a unique way. Easter Weekend inspires reflections on awakenings, growth, a sense of the new and fresh emerging at last. 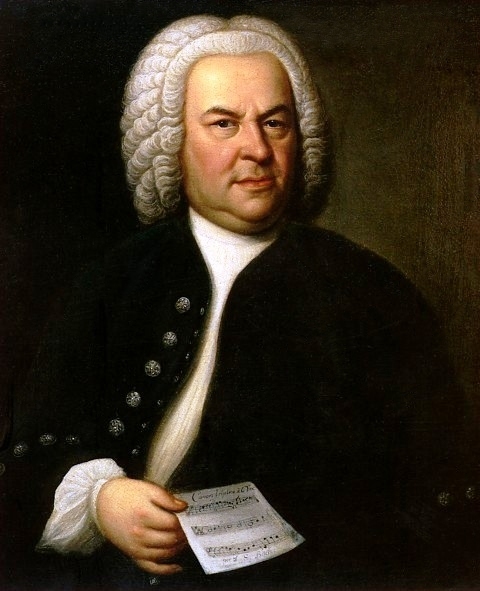 There are a number of works within classical music that deal directly with Easter, Handel’s Messiah being perhaps the most famous (programming it over the Christmas season is forever a pet peeve), but just as equally Bach’s Passions, which are widely presented and performed in halls across Europe in the weeks and months leading up to Maundy Thursday, Good Friday, and Easter Sunday. 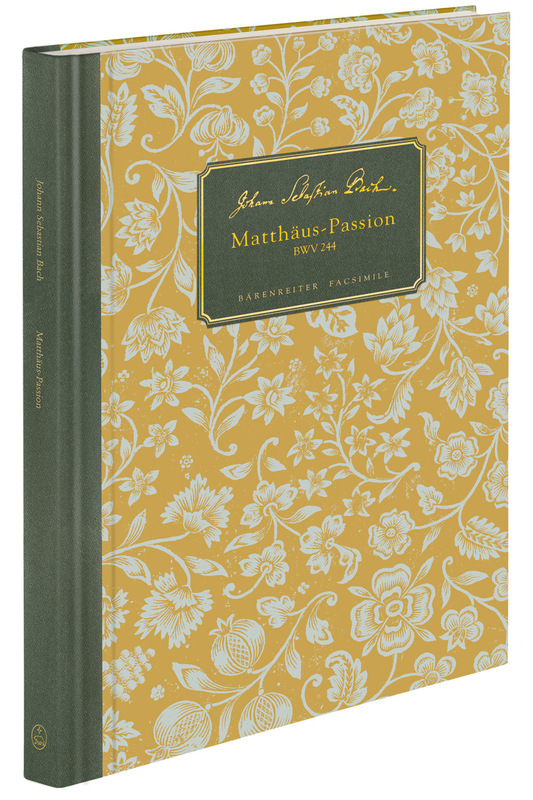 During a trip to Berlin earlier this month, I attended a very special performance of St. Matthew Passion, one which asked something more than solitary contemplation; rather, the Baroque work conjured unique meditations on the convergence of heaven and earth, sound and silence, spirit and flesh, through the act of actually singing it. Cantus Domus, a choral group based in Berlin who specialize in conceptual presentations, have a number of illustrious performances under their belts, performing an array of repertoire that spans from the Renaissance to today. Formed in 1996, the group has performed works by Bizet, Mahler, Mendelssohn, and Bach, and have also enjoyed numerous appearances at the annual German open-air music fest Haldern Pop Festival. Lets you think they only work within the classical idiom, think again: Cantus Domus have collaborated with a good number of contemporary music artists including Bon Iver, The Slow Show, and most famously, Damien Rice. For the recent presentation of St. Matthew Passion, they worked with renowned period instrument troupe Capella Vitalis Berlin, creating a community event in which the act of singing became a salute to its original presentation, as well as a beautiful way of fusing theatricality with spirituality. At the end of February, Cantus Domus held a public rehearsal before the main event, which I attended one cold, bright Saturday morning. This was, I quickly realized, more than a jovial sing-a-long; these were serious music-lovers from every walk of life engaging in what was clearly perceived as an act of commitment and consecration. The act of singing, with a roomful of strangers, in a language I don’t speak, reading music — an act I had long believed to be a thing I wasn’t smart enough to do with any real talent — was a deeply moving one. The formal performance one week later magnified this feeling; sitting in Wisniewski’s wonderfully intimate chamber hall, encircled by ever-mobile performers and an enthralled public, the music was a communal prayer; the voices of those beside, behind, and around me created transcendence which defies easy description. The strong vibrations of breaths and voices through seats, floors, hands, paper… was strange, shocking, beautiful, and the overall experience was and remains one of the most precious and profound ones of my life. I spoke with two people from Cantus Domus earlier this month in Berlin. 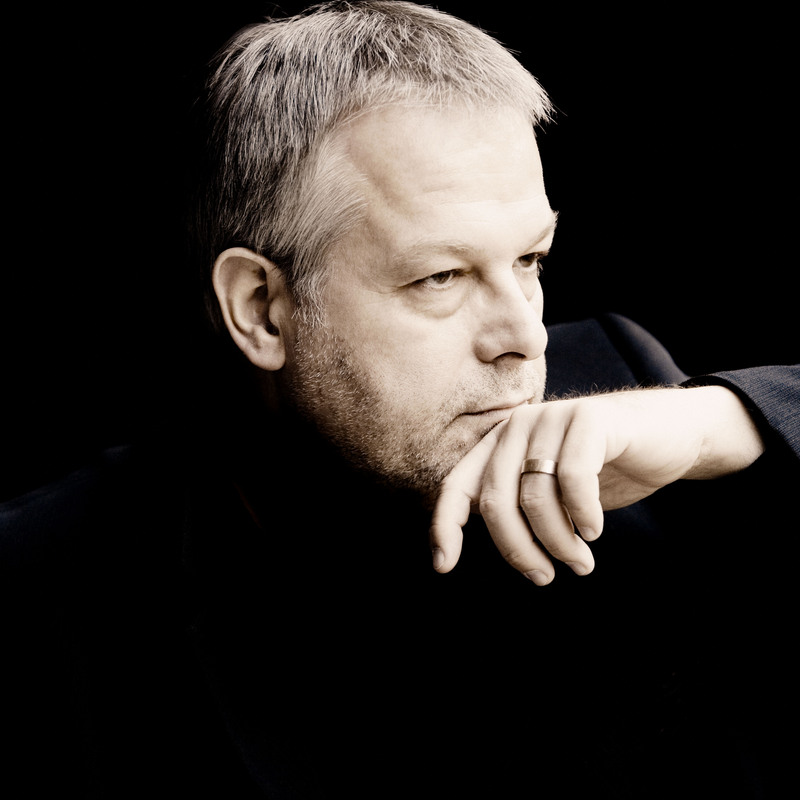 Ralf Sochaczewsky is conductor and Artistic Director of Cantus Domus; he has a long list of credits to his name in both the classical and contemporary music worlds, including gigs with the Komische Oper, the Bolshoi Theater, the London Philharmonic, and the Konzerthaus Berlin Orchestra. 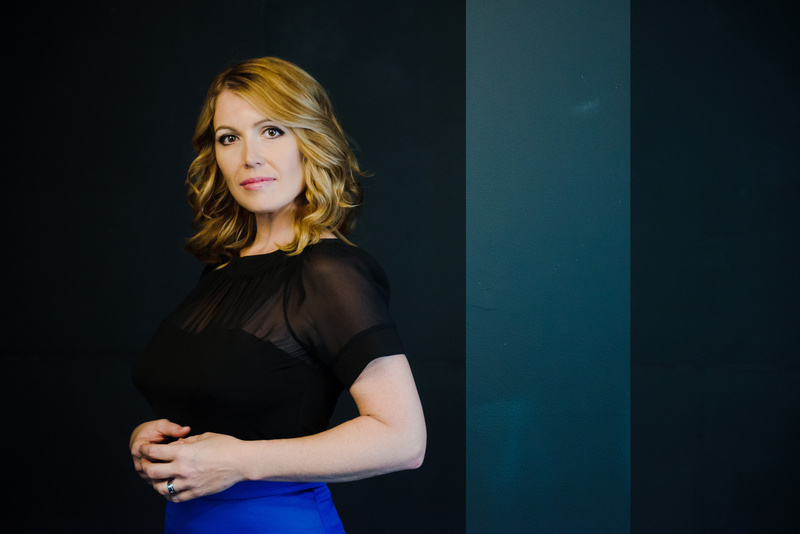 Carolin Rindfleisch is a member of the Cantus Domus board and a singer herself; she came up with the presentation concept for St. Matthew Passion here and was its dramaturge. We had a wide-ranging chat just before rehearsals about the work, its influences, and why presenting it, with a full score but without tricks or gimmicks, opens the door to something very special. 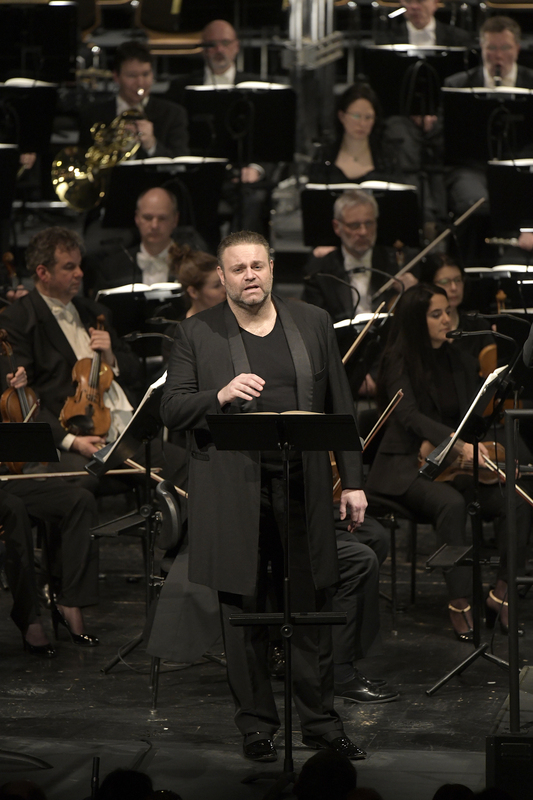 Where did the idea come from to do an interactive performance of the St. Matthew Passion? Caroline: We’ve done something like this before, with the St. John Passion in 2014. 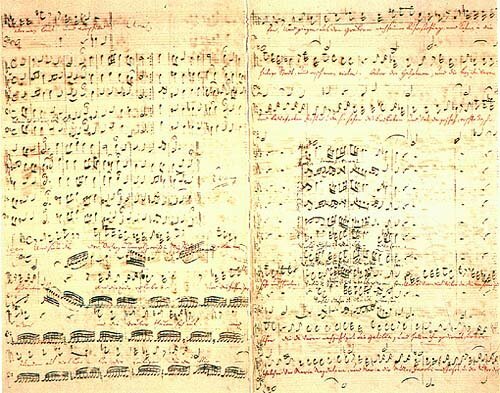 When Bach wrote the Passions, people knew the chorales very, very well — they were part of daily life; people knew the texts by heart, the melodies by heart. They were musical elements that brought everyone together. Even though people didn’t sing it, they were involved immediately because they knew it so well, and it’s something which is hard to recreate nowadays because most people don’t have this kind of religious involvement or knowledge of texts or melodies with such immediacy anymore. So if you invite them to rehearse with you, and to sing them during the concert, we hope to create the same kind of involvement, which was the original purpose of the chorales. This music is associated with a very sacred time on the Christian calendar. What’s it like to bring it into secular world now? What do you think the audience gets out of these kinds of experiences? Ralf: We did a similar (singing) project four years ago with the St. John Passion, and what the audience told us after the concert was that they were deeply involved. One woman told me that her relationship to her religion changed because of the reflection and the meditation while singing — it touched her so deeply in a way she couldn’t believe. So I think maybe many people will experience this at a deep level of feeling and believing. Carolin: It’s not “Look at me singing!” — and even if you don’t want to sing yourself, if people are sitting all around you participating it creates an atmosphere where you can’t but relate to it in a way. How do you keep the drama within the score? Is it important? Carolin: Exactly, but you have sixty people that maybe do a specific gesture at the same time, and the whole focus shifts into another direction, and this is giving little guiding posts to where the action moves in the room, so we move very little, but the action shifts and the focus shifts in the room, and this can be a really interesting way of preserving the drama while not really acting. Ralf: We just have small hints! Also you find interesting things in the music. For example, the opening of the second part is text from the Song of Solomon, sung by the choir: “Where has my Jesus gone?” The outer part is relating to Petrus, so you have a quite direct connotation it’s Petrus who’s talking. 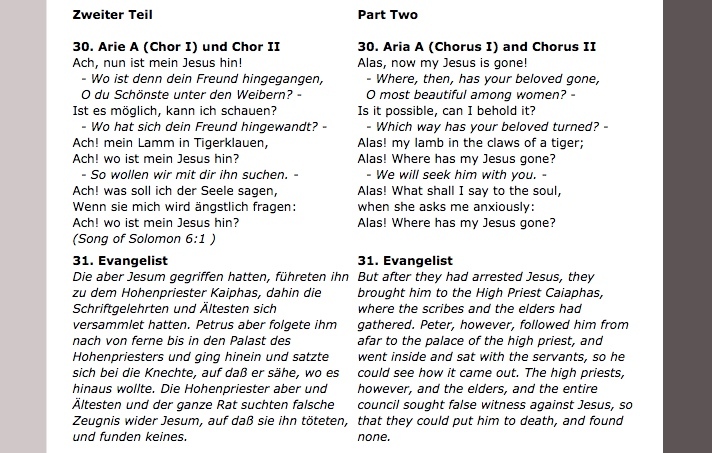 But in the earlier version (of the work) it was sung by the bass soloist, the aria section that is, which is related to Judas, which is interesting. I think it was meant by Bach, in the early version, that it’s Judas who sings, “Where has my Jesus gone?” And the chorus sings the Song of Solomon, it’s a very intimate and like … a love song. 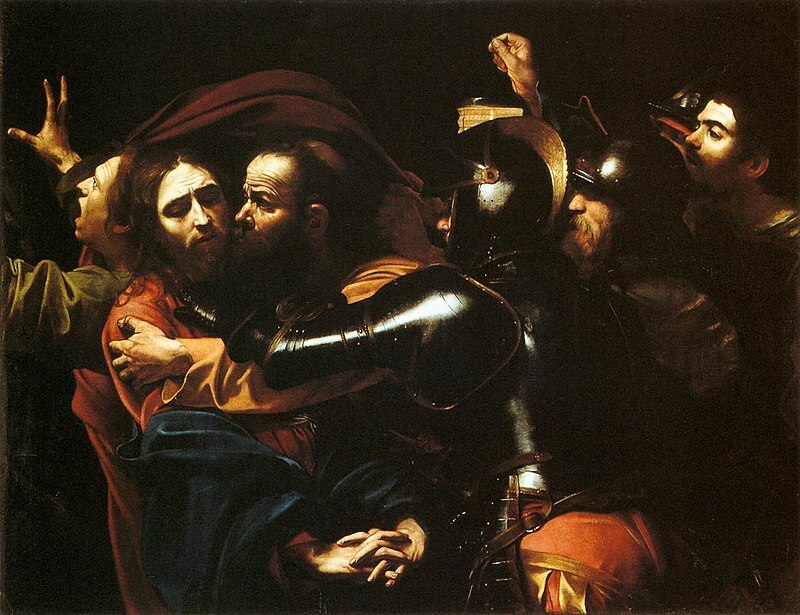 In many places in the bible, it’s said Judas was the most beloved of Jesus, and I think this is something which is really interesting in the relationship between Jesus and Judas, which gives a different color to this man, who in our perception is a very bad man. We even have the term “the Judas kiss” because of it. Ralf: Yes but even this kiss, it’s still a kiss! … which some believe is the ultimate betrayal of intimacy. Ralf: I’m not sure that this is the only way of interpreting this kiss. Bernard of Clairvaux, a very important clerical figure and one of the most important mystics, preached about the Song of Solomon, especially the symbol of the kiss, and many texts in the Passion from the chorales go back to Clairvaux. There’s a close net of mysticism in (the Song of Solomon). So the Judas kiss, in a way, when you look at it from the point of view of Clairvaux and directly after that, within this Solomonic love song, it means something different. I’ve always found inclusion of portions of the Song of Solomon sends a message about the links between spirituality, sensuality, intimacy, and meditation — things that can get lost because of the tendency to present spiritual experience within a strictly defined religious framework. Through singing, you taking these human dimensions and complexities into your own body. Do you think you ask a lot of your audiences? Carolin: Yes, we know we do, but I think it’s a really good thing to do. You don’t have to do it all the time, there are performances that are more relaxed and have a more loose connection to the audience, but it’s refreshing to ask an audience to commit. It’s unique to find a presentation of a Baroque work that asks its audience to have a direct relationship with both the score and its spiritual subtext without feeling the need to use tricks or gimmicks. Caroline: There’s a point which is really important for us as a choir: we have the feeling that with every project we do we grow a little, because we demand something we haven’t done before or haven’t done in this exact way. And this is something you can offer to audience as well in this fashion: you demand a lot of them. But if you, as an audience member, are willing to commit to it, it gives you something you hadn’t experienced before. The first time I heard the voice of Joseph Calleja isn’t, alas, entirely clear; my mother, being a great lover of fast-vibrato tenor voices, had any number of beautiful sounds playing throughout the house at any given moment. 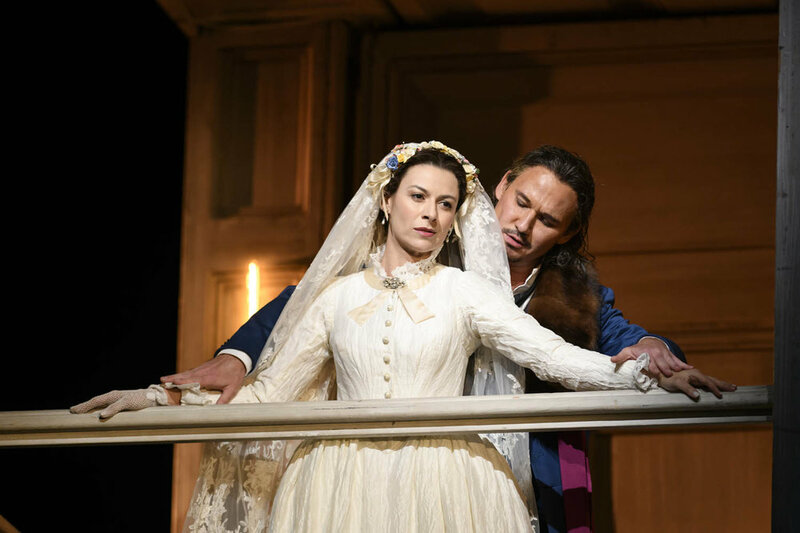 However, I remember seeing a stunning production of Donizetti’s Lucia di Lammermoor at the Metropolitan Opera in 2011, and both of us being bowled over. Surely we’ve heard this man’s voice before? Surely we need to hear more of it. Surely. Shortly thereafter we got hold of The Maltese Tenor (Decca), a stellar album showcasing Calleja’s powerfully gorgeous, silvery-hued voice, and suddenly, my mother had a living tenor to swoon over. Calleja, who was inspired to start singing after watching The Great Caruso (with Mario Lanza) as a kid, has what one might called a “throwback” voice, as NPR’s Tom Huizenga has observed. The ability to control dynamic levels and expressively shade notes and phrases were once techniques in nearly every singer’s toolbox. 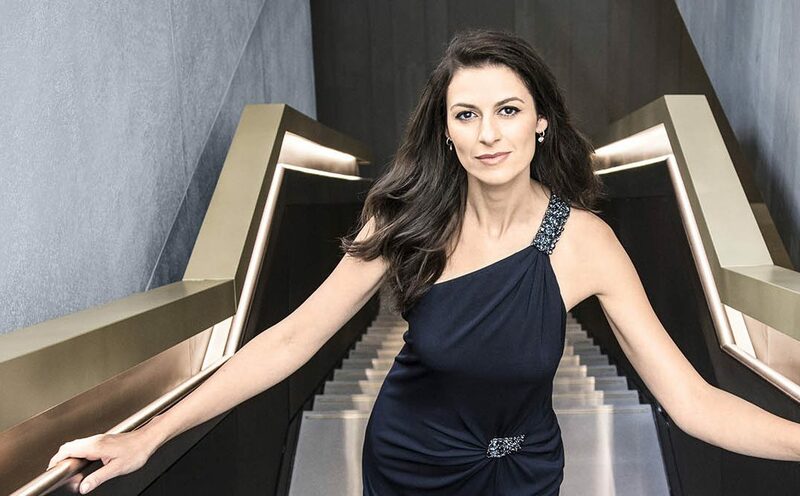 But we don’t hear as much subtlety these days, and that makes Calleja an especially refreshing throwback to pre-World War II singers such as the suave Tito Schipa and the magical Alessandro Bonci. 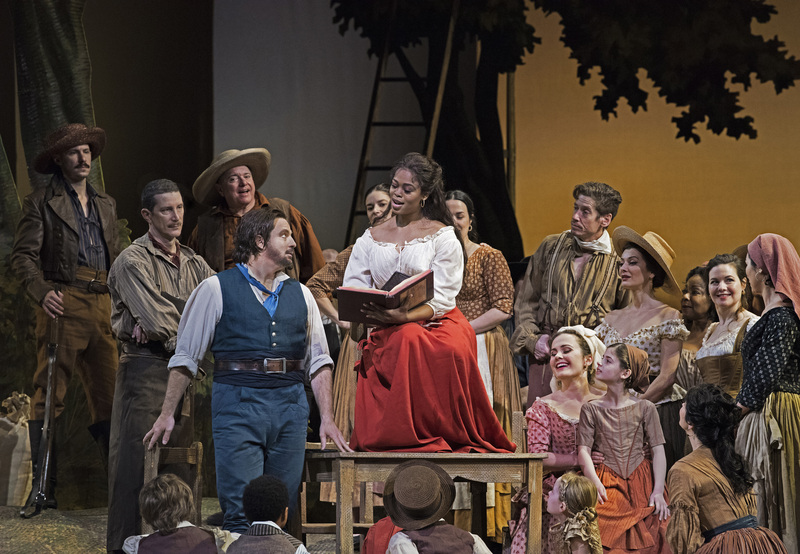 It’s a reason Calleja is in such demand from all of the world’s top opera houses. 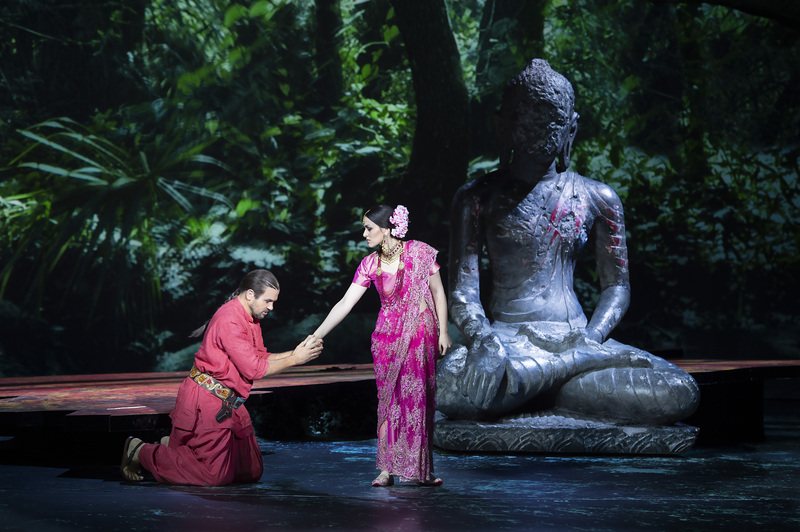 As befits those experiences, Calleja has sung a number of famous opera roles in works by Donizetti, Gounod, Offenbach, and many from Puccini (including Madama Butterfly‘s Pinkerton, La bohème‘s Rodolfo, and Tosca‘s Mario Cavardossi). 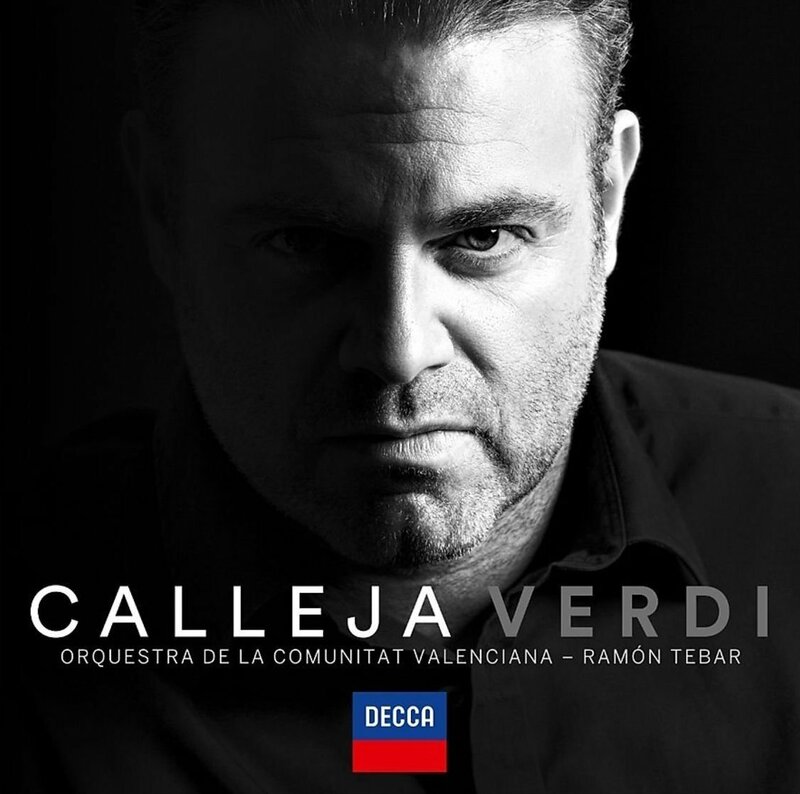 He’s also sung his fair share of Verdi works (including the famous Duke of Mantua from Rigoletto), but he gets more into the meaty side of Verdi repertoire on his latest album, simply titled Verdi (Decca), released earlier this year. As well as recordings, he keeps a hectic live schedule. 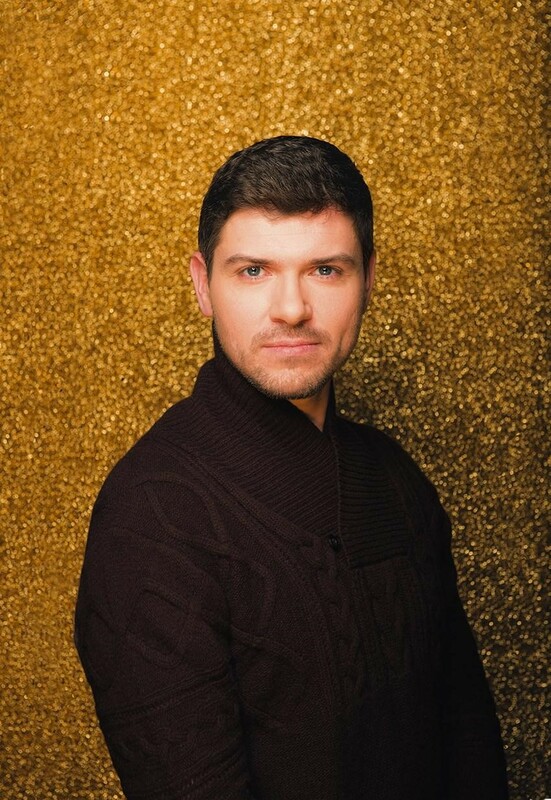 After leapfrogging across the Atlantic late last year for performances at the Met in New York (in Bellini’s Norma) and Bayerische Staatsoper Munich (in Puccini’s Tosca), he opened 2018 at the Royal Opera Covent Garden London (again in Tosca) and has gigs coming up in both Monte Carlo and Munich, as well as numerous concert and recital appearances, as well as performances at the Met for their 2018-2019 season. 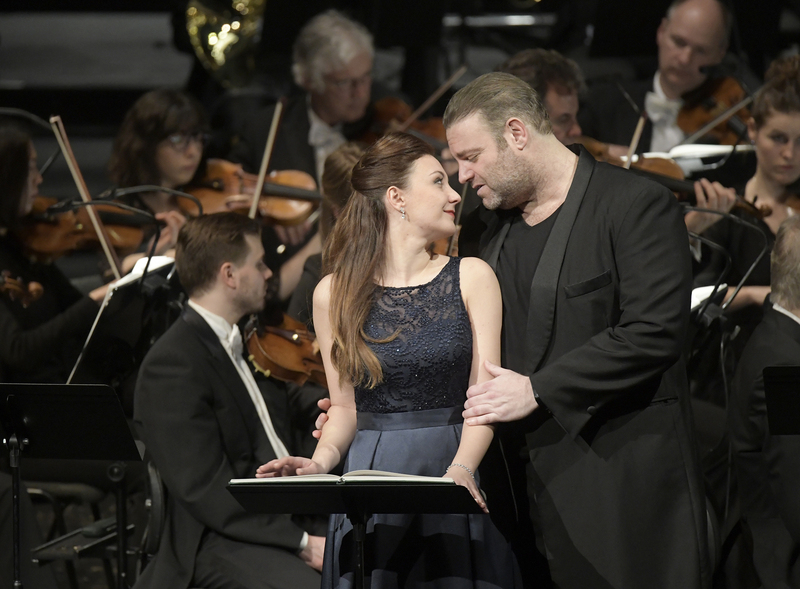 We recently spoke in Berlin, between a pair of concert performances of the rarely-performed opera L’Arlesiana, an 1897 opera by Francesco Cilea, in which he sang the role of the lovelorn Federico. 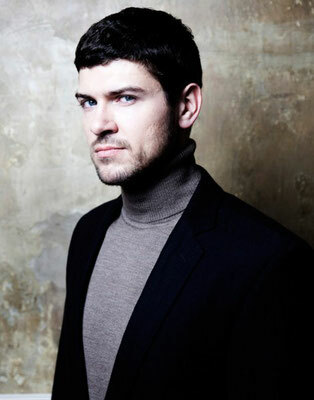 As well as being a debut for the presenting Deutche Oper Berlin, it was also a role debut for Calleja, who soared in his robust approach to the fiendishly challenging score, his reading of the famed aria “È la solita storia del pastore” (also known as “Lamento di Federico”) a mix of disgust, sadness, and deeply felt passion; the unique sweet qualities of Calleja’s voice were used to marvellously dramatic effect, and he demonstrated the utmost control through the soaring vocal passages, pushing, pulling back, coloring and intuitively shading every note with deeply felt emotion. This was singing of the very highest order. 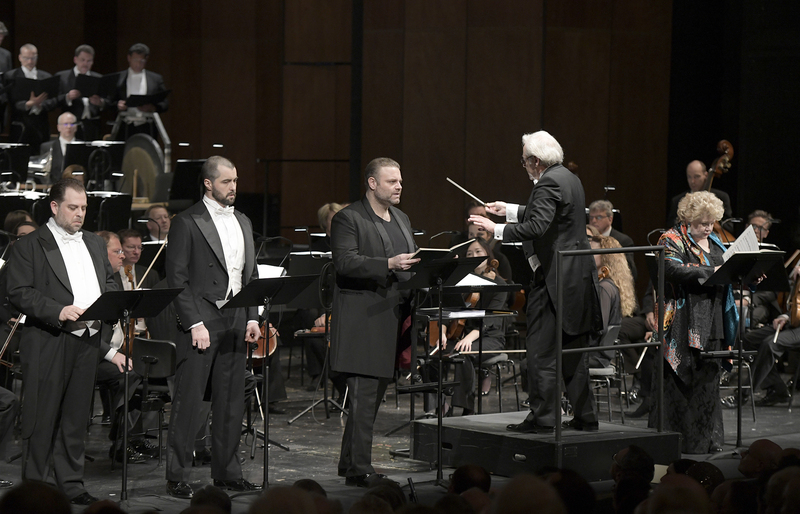 In this, Calleja was joined by a truly stellar cast which included famed mezzo Dolora Zajick, soprano Mariengela Sicilia, bass baritones Seth Carico and Byung Gil Kim, and baritone Markus Brück (look for an interview with the German singer here soon!). 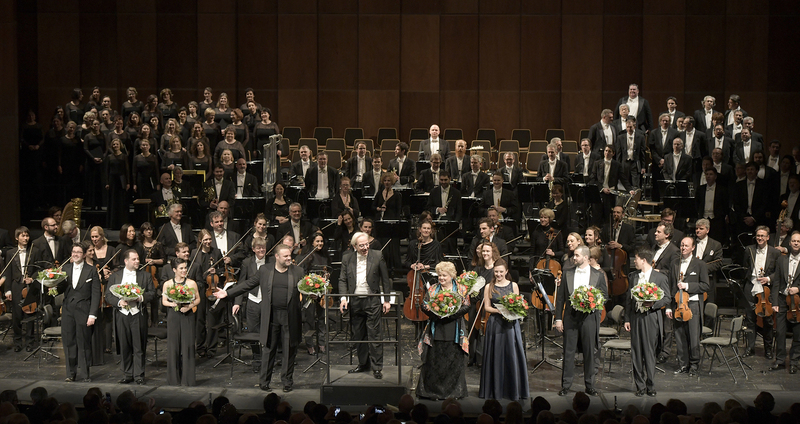 Maestro Paolo Arrivabeni confidently led the Deutsche Oper Orchestra through a thrilling reading of the musically dense, dramatically intense score. As you’ll read, Calleja is a man with opinions, on music, comparisons to other singers, and the cost of success. He knows his talent, he knows his voice — and he knows his wine. A throwback to another time, or maybe a singer for the 21st century, Calleja is a special figure who lives firmly within the world of culture. Why do a Verdi album? There was a discussion between myself, my label and my manager. I signed and recorded when I was like 21 years old, and did a lot of repertoire with all the consequences of that; on The Maltese Tenor album, I did roles from Ballo (Un ballo in maschera / The Masked Ball) and Foscari (I due Foscari / The Two Foscari), so then we looked at the repertoire, and the question of Otello came, and “shall we do it?” They weren’t worried, I was worried! Like, “will the public think I have delusions of grandeur? 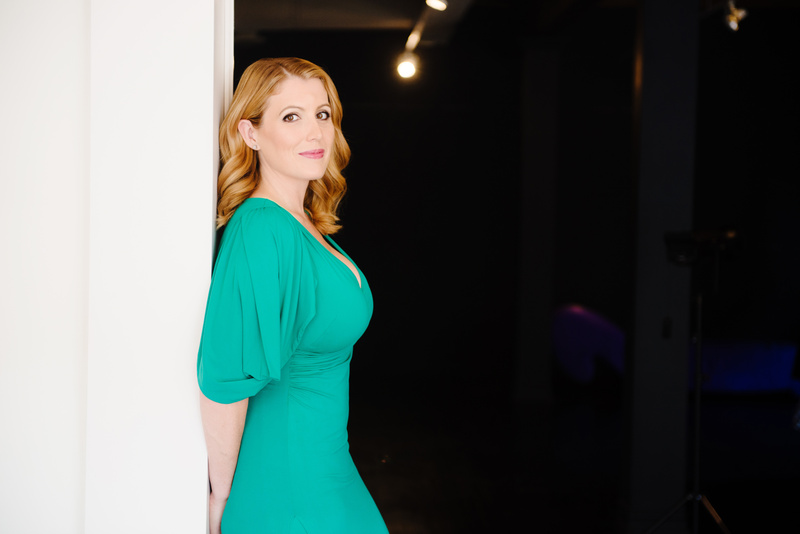 !” It’s a nice calling card, to see where the voice is today and to revisit this repertoire when I sing it onstage, the Otello especially – that’s in a decade or so. It is a very long-term project. Only because with the voice, you have one, and once you have vocal damage, you can’t come back — if you’re lucky and have proper medical care, okay, but I never have, touch wood, In twenty years of singing — I started when I was 19 years old — I never had any serious vocal trauma or operations. I want to keep it that way. I have avoided it by not singing too much, not singing when sick and by not pushing the voice into the wrong repertoire. So I try as much as possible to keep my instrument intact. Of course I have ups and downs, some performances are better or worse than others. The Chinese vase can get a bit dirty but if it’s cracked, it’s a problem! How did you choose the selections on the album? We went to pieces I’d never done before and ones I’ll be doing in ten years. I will do Trovatore (Il Trovatore / The Troubador) in five or six years and then move on to Otello, in my early 50s, if the voice does the evolution, and all pointers are that it will. It’s like a great French wine, a St. Emilion for example; certain vintages have the potential to age for twenty-five, thirty-five, even forty-five years, which is exactly similar to the lifespan of a human voice, a classical voice. You can tell with accuracy how the wine will evolve, and how it will end up tasting eventually — it is not 100% but you can do a forecast, and with voice it’s the same. So my forecast is it will make that evolution, but I’ll be singing that repertoire only if the evolution happens and I’m lucky with health and all life throws at you. So the album is a sort of preview? Exactly, yes. Some roles I will sing for sure — Verdi said in letters the tenor for Trovatore, Rigoletto, and traviata (La traviata) are the same one, the same type of voice, that’s Verdi himself saying it, so that’s for sure. Aida I think as well. You don’t have to be. Not at all. … I know what I like, and some of that is French repertoire for sure. Is that something you’ll move more into? You’ve done some French opera already. I speak French, quite fluently, and I love the repertoire, and yes, I have things like Faust coming up, Manon coming up, Werther in the future… in the long-term future, there are roles I’d love to sing, the voice is nicely in the French repertoire as well. Sometimes I pronounce vowels in Italian, I don’t know why, it’s the vocal placement — I do them perfectly when I speak, but when I sing, sometimes I open certain vowels that should be closed. And now you’re doing Cilea as well. What was attraction to L’Arlesiana? I like sometimes obscure repertoire, I like discovering these gems. I’m not sure how many in the audience here in Berlin knew it save for the recordings, and there aren’t many of those either; on iTunes can only find one, so it’s a nice opportunity to discover it. It’s very fiendishly difficult music! Heavy on the voice, but it’s nice, it’s a gem. Everyone knows the aria of the tenor, but it’s also my 38th role onstage — I’m missing two, one for each year of my life! You’re young, though. And still there have been many comparisons between you and Pavarotti; how do you feel about those? Other singers have brought up that there’s a new level of scrutiny now. Everybody can record a performance now. I made it a point with my manager not to accept too much work so we do our best to honor every single contract. It is a gift. Some of my colleagues are negative — “oh so many months away from family, all alone!” — yes, but this is what we work for. It’s like an actor, or anyone at a high level: it comes with a lot of privileges but you have to take the bad baggage with the good. Exactly my point. It makes it so much easier. This is a privilege, to be able to do this job-slash-vocation, but it is not for everyone. Some people do find… I have to admit, maybe I’m spoiled, the one thing I miss is not going home kiss my kids goodnight, to see their homework, to sleep in my bed and cuddle my dogs. But then again, the diplomat abroad misses that, the soldier misses that — the journalist, the agent, the manager, financial people… success, and the good life, there is always a price to pay.